State Chief Secretary Dharmendra Sharma questioned the maintainability of the petition filed by activist Trajano D'Mello a month ago. 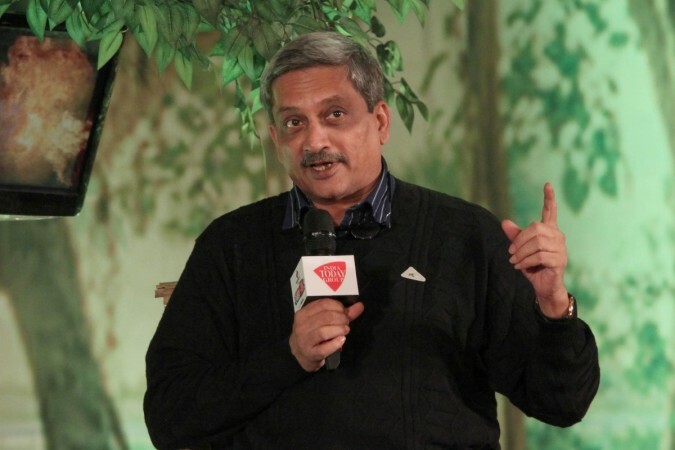 Citing the fundamental right to privacy, the Goa government has opposed a plea seeking the High Court's direction to the state administration to declare the health status of Chief Minister Manohar Parrikar. In an affidavit filed before Justice R M Borde of the Goa bench of the high court Friday, state Chief Secretary Dharmendra Sharma questioned the maintainability of the petition filed by activist Trajano D'Mello a month ago. "Like any other person who may not occupy public office has a right to not disclose his health problems to the public. If a person is directed to disclose his health ailments to the public merely because he happens to be the CM, the same would be the violation of Right to Privacy under Article 21," it stated. In his public interest litigation, D'Mello had claimed "administrative collapse" in Goa due to extended absence of Parrikar, 62, from office. The chief minister, who has been in and out of hospitals since early this year, is currently recuperating at his private residence here since he was shifted there from AIIMS in Delhi in October. "The present petition is absolutely lacking in good faith which is an essential prerequisite for the maintainability of public interest litigation," the affidavit said. The petitioner's claim of "administrative collapse" is absolutely unsubstantiated, vague and is entirely based on hearsay which cannot be the basis of a PIL, it said. "The petitioner, through this PIL, indirectly seeks to assail the right to privacy of the CM, as an individual," the affidavit read. In his plea, D'Mello had raised apprehension that Parrikar's signatures on several official documents are being forged. "Despite physically incapacitated and bed-ridden in the ICU, Parrikar has breached constitutional trust by virtue to remain as CM despite the fact that he is physically and mentally incapable of discharging his constitutional obligations," D'Mello's affidavit said. The chief secretary stated that there is no genuine grievance by the petitioner to substantiate his allegation of administrative collapse in Goa. He stated that the chief minister chairs cabinet meetings regularly, meets legislators and takes decisions on various matters concerning the state. "The petitioner has relied upon only those press items which suit him. The petitioner is therefore guilty of suppressing vital information from this court. "The entire petition is lacking in any material particulars and as such is a roving and a fishing inquiry which prima facie is inadmissible," the affidavit said. The HC will hear the matter on December 10.